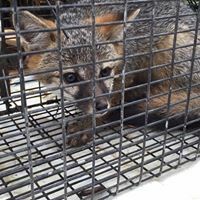 There are two species of fox in our area the Red Fox and Gray Fox that may become a problem for Maryland and Delaware residences. Foxes mate in mid-winter; pups are born approximately 9 weeks later. Male and female foxes stay together to raise young. Usually by April or May, the female may be seen with one or more pups during the day teaching them what they can eat. Problems arise when Fox make their den sites by using property's, under decks, sheds, houses and crawl spaces. Foxes can carry organisms responsible for several contagious diseases such as Mange, Canine distemper, toxocariasis and rabies. Foxes may kill small domestic pets. The best method is trapping and removal and follow up with exclusion. That will prevent future wildlife issues. Contact Bay Area Wildlife to schedule an inspection to protect your Home today!